Smart Grids development and interactions with Smart Cities require converging access to control and metering systems throughout the Utility network. M2M network ubiquity gives access to those equipment even where other communication media are not available - fiber or copper lines. CXR range of M2M routers is dedicated to such requirements. 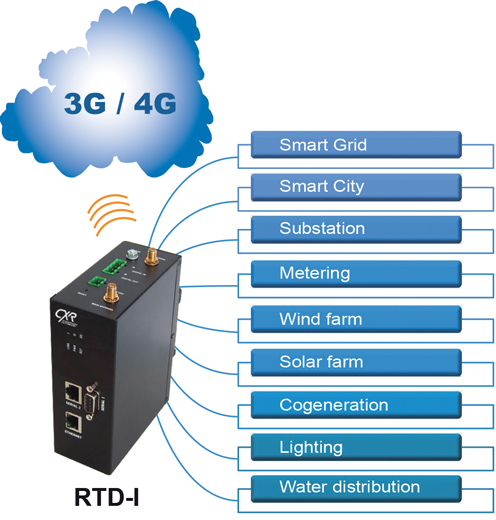 RTD-I is a ruggedized product that connect Ethernet and RS232 systems as well as digital inputs and outputs. It embeds two slots for two SIM cards to allow mobile networks backup.